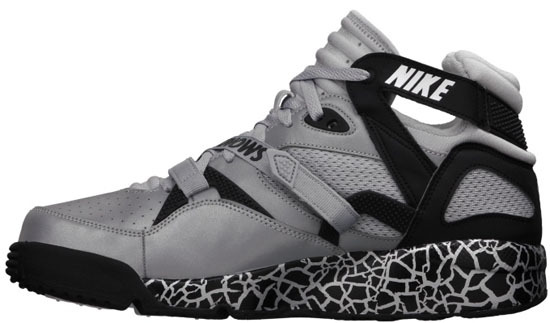 The Nike Air Trainer Max '91 returns in 2013 with this Bo Jackson inspired colorway. 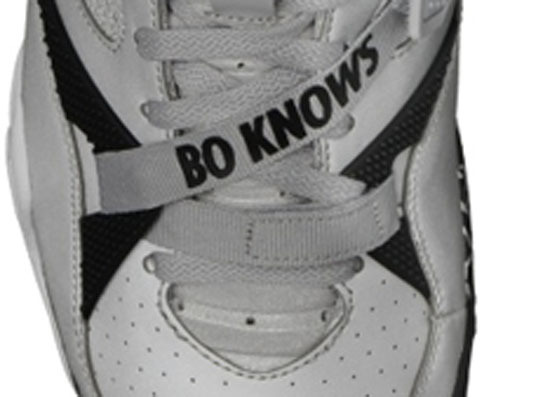 This "Bo Knows" edition comes in a Raiders inspired wolf grey, white, black and metallic silver colorway. Featuring a grey based 3M reflective upper with mesh on the sides along with white, black and metallic silver accents. 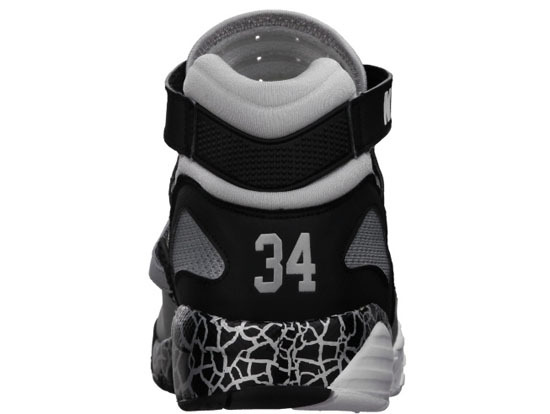 A crackled print is found on the midsole while "Bo Knows" is featured on the straps as well as the insoles. Bo's jersey number, "34" as well as the "Raiders" logo are found on the back heels. A limited release, look out for these at select Nike accounts worldwide on Saturday, May 25th, 2013. Retail is set at, $115. 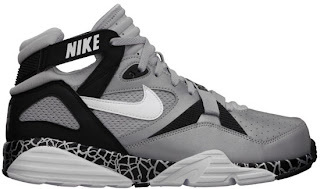 Enjoy the official images of the "Bo Knows" Nike Air Trainer Max '91 in wolf grey, white, black and metallic silver below. If you're interested in picking these up when they release, be sure to check in with your local spots to see if they will be receiving them. Those of you looking to lock down a pair now can, click here to buy them on eBay.